I think the mermaid stamp by Julie Nutting is fun and meant to be tossed in a sea of creativity. Her name is Sea Sallie. This is a canvas that I wanted to keep bright, cheery and warm. 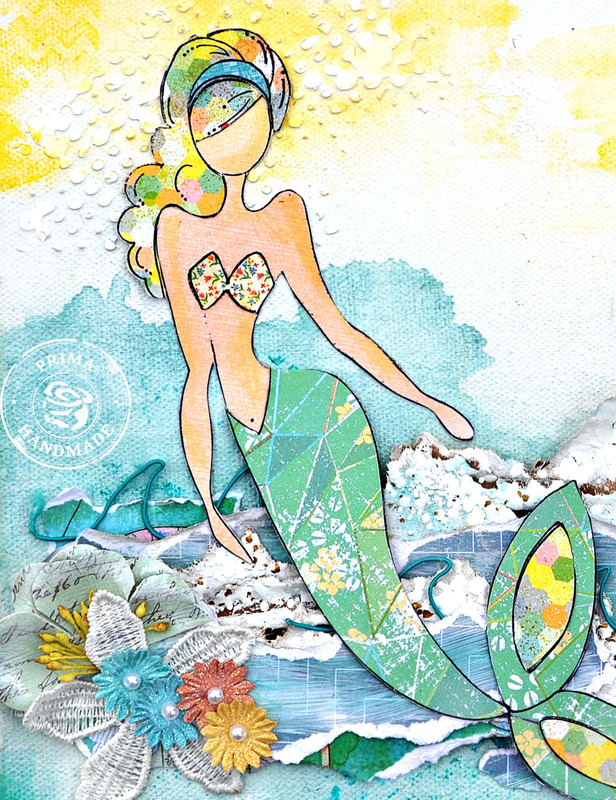 Mermaids are also supposed to be happy - no one has even seen an unhappy mermaid. The collection I used was the Free Spirit also a bright fun collection. I accented her with Prima's new wire threads. 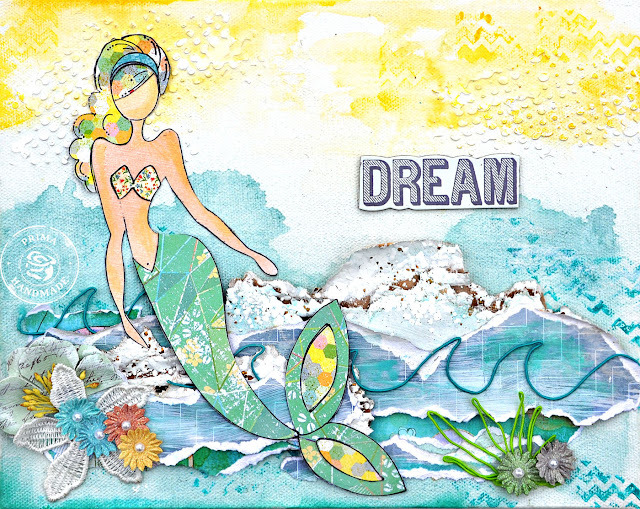 Her hair and outfit were created using the Free Spirit 6x6 paper pad. The sea was created with a lot of layers of cardboard embossed with Stampendous Aged White embossing powder and Chunky White powder. I also added stripes of the Free Spirit collection for the water. 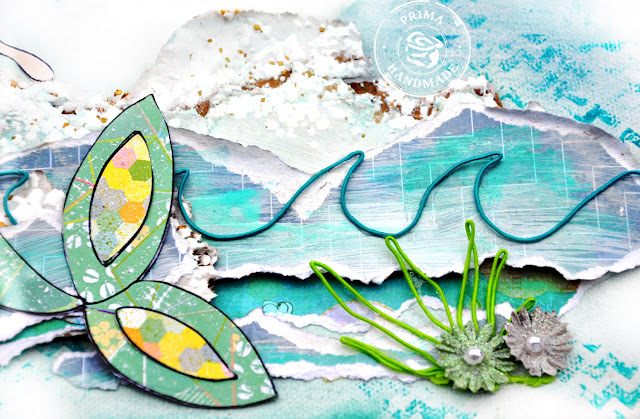 Here is a close up of the wire thread sea weed and waves I created. Thanks for stopping here. You can see the products and the codes used below - these help in your internet search for product. You can also find this in my Etsy shop.